This International 42 in. Job Site Box is engineered to handle the rigors of the construction site. 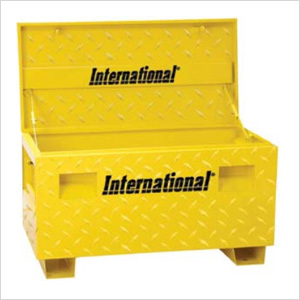 Its Heavy duty 16-gauge steel construction is designed to withstand the rigors of the construction site.